A&E Network’s newest series Wahlburgers gives a behind-the-scenes look into one of Boston’s most well-known families, the Wahlbergs. Brothers Mark and Donnie join forces with their sibling, Paul, in their tasty business venture. An homage to their humble beginnings, the hamburger restaurant is home base for the gang from the old neighborhood, including the real Johnny “Drama” and of course their spirited mother Alma. 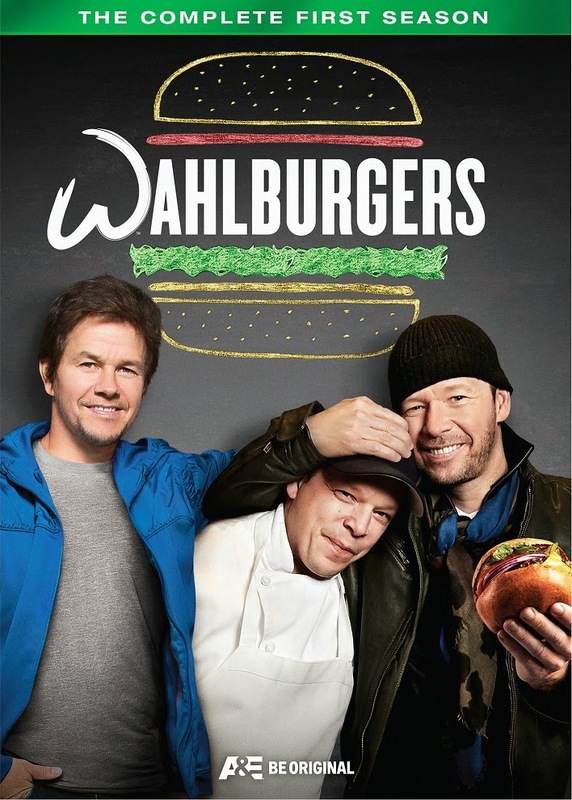 In addition to famous siblings Donnie and Mark, the Wahlberg family has an accomplished chef in Paul, one of Donnie’s seven older siblings. Paul, along with Donnie, Mark and their mother, Alma, opened Wahlburgers in a small town just outside of Boston. Wahlburgers is the story of this venture. Donnie, Mark and Paul are your typical brothers… always vying for mom’s attention, wanting to be her favorite, playing pranks on each other, but in the end, loving each other and having each others back. Paul owns a local burger joint across the street from his other restaurant “Alma Nove,” which is named after his mother. He is a high-strung, down-to-business guy, who has little patience for his brothers’ ideas. 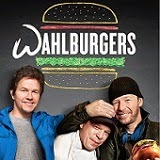 Donnie and Mark – especially Mark – want to take the Wahlburgers brand national, if not global, and are always on the lookout for new locations. The boys obviously love their mother, as Alma gets away with pretty much anything. As manager and hostess at Alma Nove, she works the hostess stand, greeting and seating people and working Paul’s nerves with her decoration changes, eating in the front of the house, reading scripts dropped off for Mark by Hollywood hopefuls. When Alma decides Paul needs an assistant, she sets up an interview with Kari, a friend’s daughter. Paul agrees to give her a chance, and Kari immediately integrates herself into the business. Alma uses her to help her out as well, taking her shopping, having her over to help clean the garage, and going to a day spa with her. Not to be left out, Johnny Drama and Nacho, two of Mark’s childhood friends – and original members of the “Entourage…” seriously, they are characters in the HBO show of same name – are always around causing trouble, mooching food off Paul and the restaurant, hanging with Mark and generally causing havoc wherever they go. Donnie’s girlfriend (now fiancee) Jenny (as in McCarthy) arrives with Donnie to meet Alma and Paul and get dirt on Donnie’s childhood. I love this show. I love this family. As a New Kids on the Block fan, I grew up following Donnie and the guys through music. When Mark came on the scene, I was older, but still liked him. As actors, I adore them both. Seeing them at home, interacting with their mother and brother makes me love them even more. They are a down-to-earth family, who clearly loves each other. Alma is a crack up and she has such a great sense of humor. She appeases all the boys, but keeps her tough exterior and runs that family with love and an iron fist. The interviews with each of them are heartwarming, and at one point, made me tear up. Paul is an awesome older brother who takes everything his little brothers dish out in stride. They may annoy him, as all younger siblings do, but in the end, he values their opinions and appreciates their support in this restaurant venture. Walburgers’ 16x9 widescreen (1.78:1) presentation is really good. The picture is clear, the colors are bright and there were no visible issues with the picture. Skin tones, outside and inside scenes were sharp and natural. I was pleasantly surprised at how good the picture was for a reality television show. The English Dolby Digital 2.0 audio presentation of Wahlburgers was good. Their accents were clear and not too heavy… I think Mark and Donnie have been away long enough that it’s faded. Paul and Alma, not as much. In fact, Alma’s accent was the heaviest, but still understandable. The sound was even and no volume adjustments were needed. The dialogue, narrations and interaction between them all was full of humor and sentiment, and I loved hearing their stories. I was disappointed with the lack of special features included. When you get to the menu, it looks like there are a lot, but it’s really not. I wish there had been more behind-the-scenes, pranks, jokes, and more. 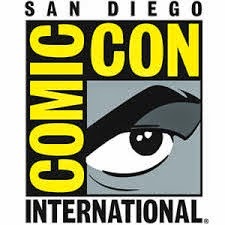 What you do get are nine “webisodes” less than two minutes long. To me, they were extended scenes of parts of the different episodes. They are listed below. But for the low score of the special features, this is a solid 4 stars overall. Unfortunately the score is brought down by the features. Fortunately, the rest of the scores were high enough to help make the overall score average. I will definitely be watching season two and I look forward to learning more about the family. I enjoyed the series, the family and their humble way of life. Definitely a down-to-earth family that seems like a gang I’d love to hang out with.